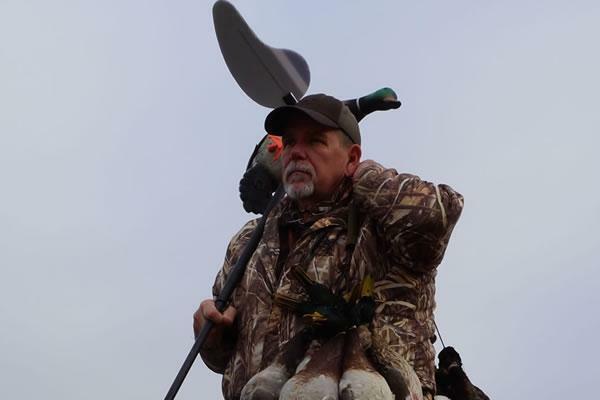 Mike Morgan grew up in a hunting family and literally cut his teeth at deer camps in Mississippi and Louisiana. At the early age of seven he took up archery, and by his late 30s, he had made it his profession by opening an archery shop in central Mississippi. Mike's love to travel combined with his archery skills allowed him to take some of the largest game on the North American continent, from muskox in the Northwest Territories to mountain goats in Alaksa. He also took elk in Wyoming and antelope in Colorado. Mike has taken hundreds of big game animals with his bow and arrow over the years and loves to pass down the tradition whenever possible. During the late 80's, Mike, along with his business partner, helped pioneer the early stages of what is now MOJO TV. They started by producing hunting videos under the "Indian Archery Outfitters" label and quickly transitioned into one of the first hunting shows on the newly formed "Outdoor Channel." Their show "Hunting Across America" quickly became one of the network's most popular shows and paved the way for Mike to eventually get involved with MOJO Outdoors. Mike is currently the Head of Media Relations for MOJO Outdoors and travels, films, hunts, and co-hosts the MOJO TV Series.